The 22ct gold links in this necklace have been milled to make them oval and thin. 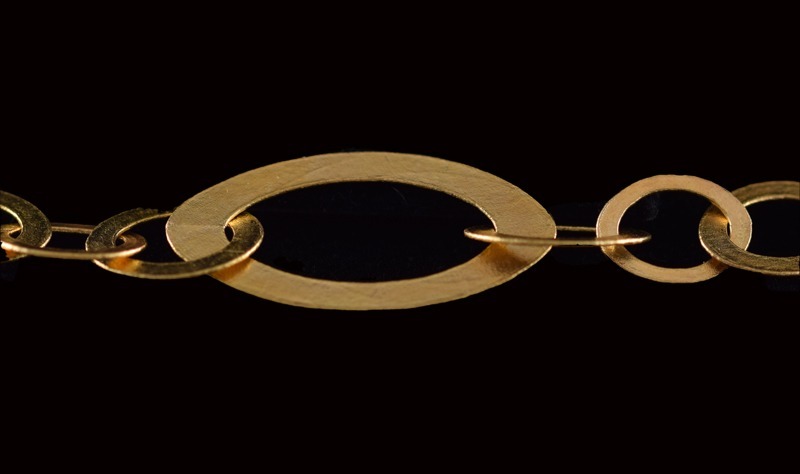 They are different sizes and make the most interesting combination when put together in this way. They catch the light differently, they lie differently, and the overall effect is one of a completely unique and interesting necklace. One of a kind. 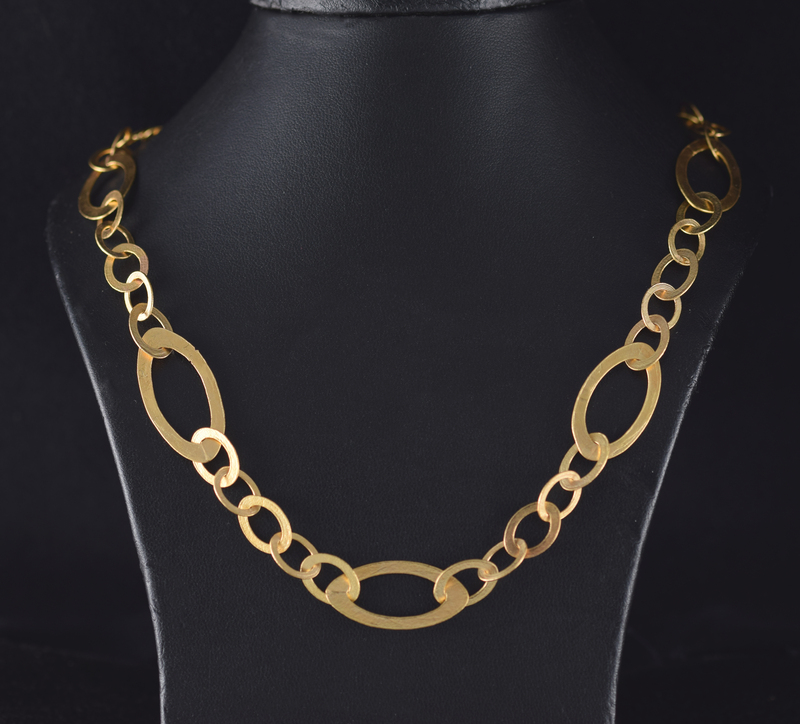 The necklace is 48cm – 18 ½” – long.